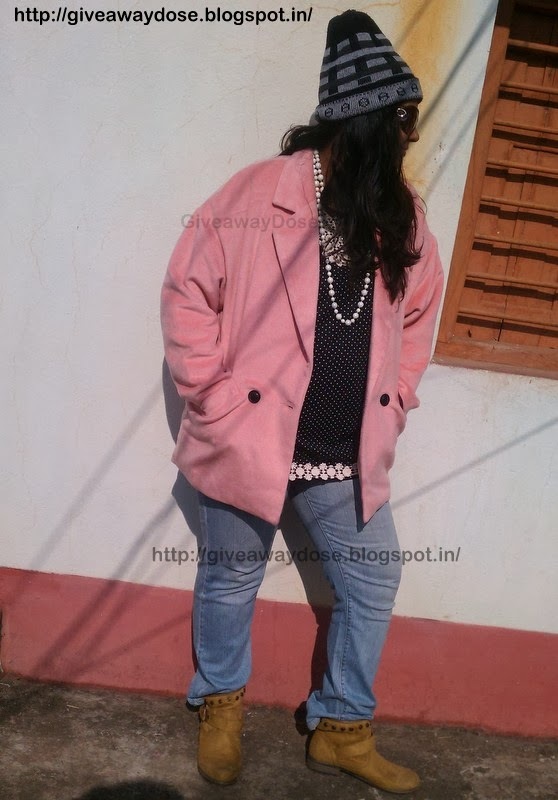 Giveaway dose: OOTD - Polkadot Puff sleeve top + Big Lapel Long Sleeves Coat. 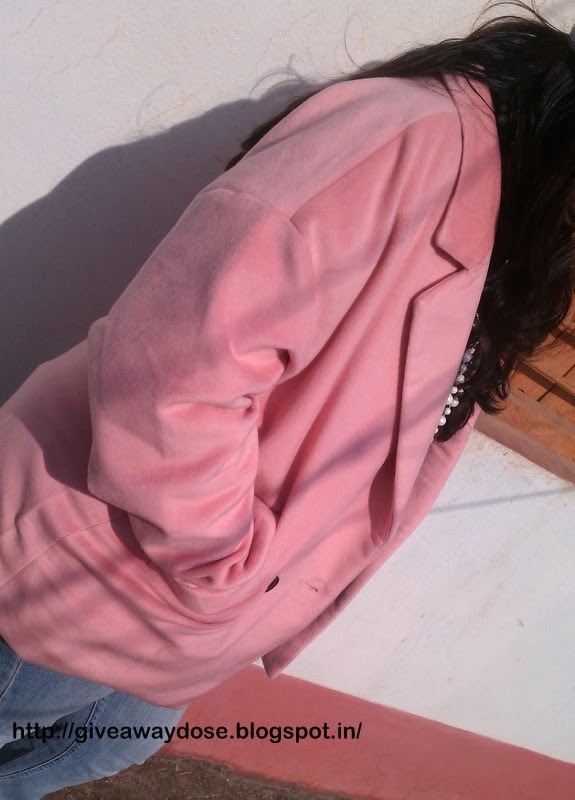 OOTD - Polkadot Puff sleeve top + Big Lapel Long Sleeves Coat. 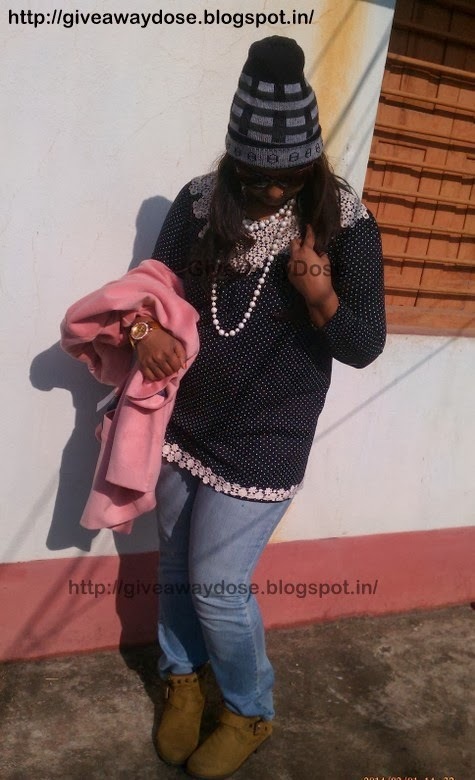 Pearl necklace,Beanie - Random offline shopping. 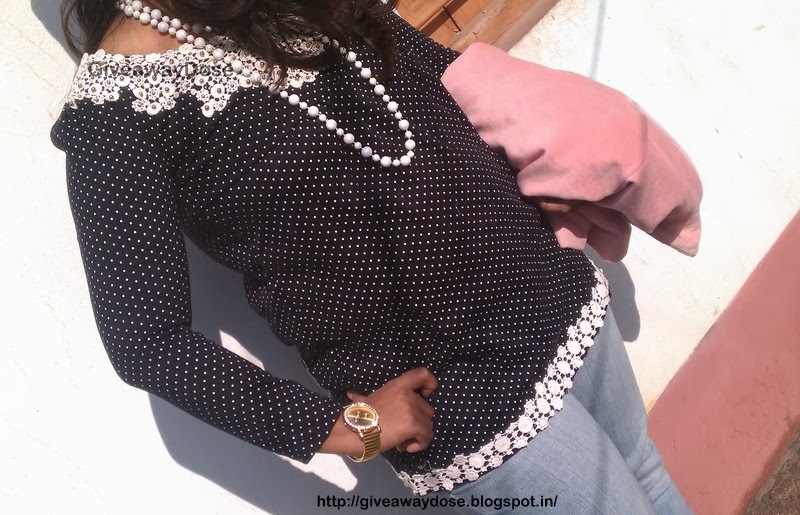 It's a beautiful top, I love it..
Beautiful shirt and accessories !! 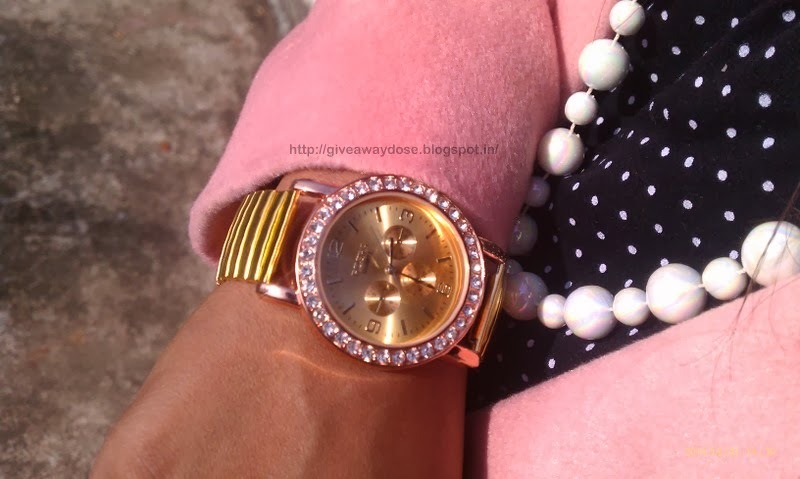 I like the pink jacket, gorgeous watch. I understand that you couldn´t resist when you saw this cute shirt! It´s great for you! Join my giveaway! 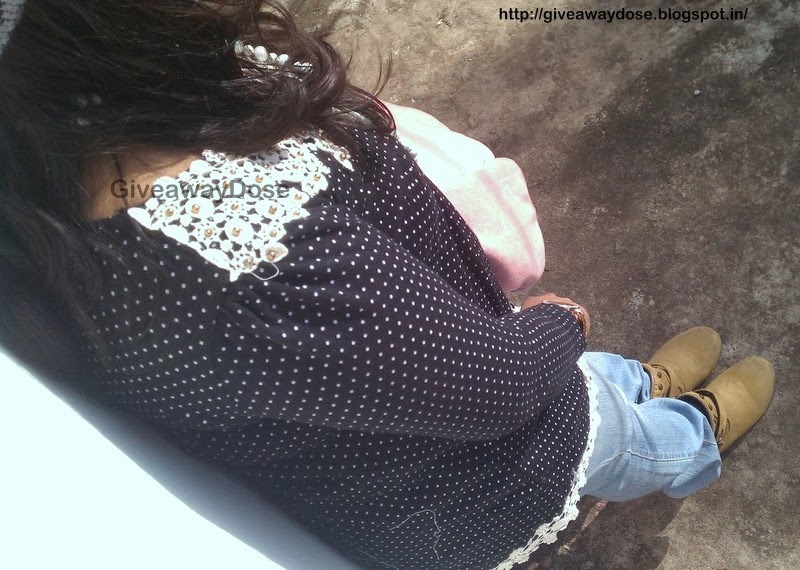 You can win cool stuffs from Dresslily just by like their Dresslily Facebook Page leaving a comment on my blog of the product you want to have! Easy, right? Come and join! I'll be waiting for your entry!